There Goes That Beer Man Again! The Beeryard’s Matt Guyer has a pseudo-celebrity status on the Main Line. Matt Guyer is to the Main Line beer culture as George Perrier is to the Philadelphia restaurant business. Guyer is the most influential beer connoisseur in the Philadelphia suburban region. And for good reason. His wealth of knowledge and keen love of the surging American beer culture has carved out one of the most interesting, blue-collar small business success stories along the “Muffy and Buffy” culture of the western ‘burbs’. Unlike the world in which George Perrier lives, Wayne’s Guyer is a no-fuss straight shooter, succeeding on a less glamorous level at his Main Line landmark, The Beeryard (www.thebeeryard.com). Tucked behind the back parking lot of the always bustling Wayne Starbucks, Guyer’s old, one story, slightly rundown garage is home to one of the area’s most recession-proof small businesses—a beer distributor. Fact of the matter is, Matt Guyer is making quite a nice living for himself by stocking over 1,000 kinds of beer a year and selling it to not only Main Liners, but Pennsylvanians from all over the state seven days a week. Since taking over ten years ago after working under the former owner, Guyer, 39 and one of nine children of a popular, well-liked Wayne family, has built up quite a reputation. 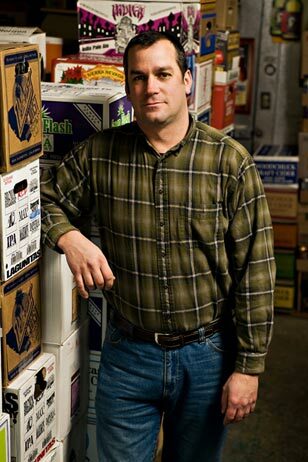 Supplying dozens of prestigious local restaurants (Villanova’s Maia, Wayne’s Belgium sensation Teresa’s Next Door, and The Guard House in Gladwyne, to name a few) and most of the Main Line country clubs on a weekly basis with his amazing variety of brews, Guyer moves between 60-80,000 cases a year out of his glorified warehouse. His customer base extends into the western portions of Pennsylvania, as far as Pittsburgh. One of his loyal clients makes the trek down from Williamsport, PA a few times each year for a shopping excursion to The Beeryard. His average customer, who normally spends around $35-$40 a visit, will pick up a few cases of winter brews in the weeks leading up to the holidays and drop $150-$250. 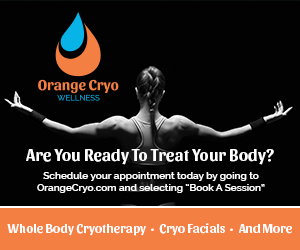 “Just like you might spend more on a holiday gift or walk into a jewelry store in December and spend a few hundred dollars just because of the time of year it is, I see the same response in my customers in November and December. So, we have the right selection and when they come ready to make a special beer purchase for a holiday party or special occasion, we can help them out and give them that one-on-one attention. If I don’t have a beer in stock and it is available in one of the five county Philadelphia markets, I can get it for them custom delivered in a few days. Just like you would order a diamond ring at your local jeweler, I can bring in your special beer request. But I will work with someone very closely to make sure it is exactly what they want and need. I don’t need a customer going home with a case of beer, trying one bottle and being stuck with 23 beers they just don’t care for. That is one thing we really pride ourselves on here—we know our beer! So, either I or my very versed staff will assist you with the right purchase for your specific purposes and expectations,” explained Guyer. So, when it came time to find a great source to direct us in creating our first holiday AML beer guide, we looked no further than around the corner from our offices to The Beeryard. After two “research-based” beer tastings (and two fun afternoons with Matt) we are proud to present AroundMainLine.com’s Holiday Beer Guide 2008. All the libations highlighted below are currently available at The Beeryard. 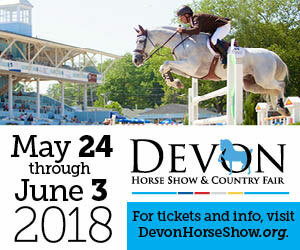 But, we have a feeling it will be first come, first serve as word gets out – so get over there soon! Cheers to a Fantastic and Fun Holiday Season! 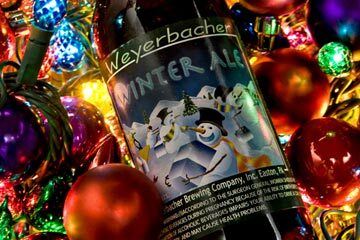 Weyerbacher Winter Ale is a guaranteed crowd pleaser for your holiday party. A local brewery’s winter best and winner of a Silver Medal in the 1998 World Beer Championships, Weyerbacher’s Winter Ale is brewed with a deep-roasted chocolate malt. “It offers a nice, rich very smooth taste with a small hint of chocolate and a roasted flavor coming from the malts. It’s a great beer that would appeal to a variety of guests because it is not so high in alcohol (5.6% ABV) and it’s very drinkable for a party. It looks a little darker than most beers, but as you will taste, it does not drink very dark,” explained Guyer. Also appealing is the comical scene of snowmen dancing across the bottle’s label. 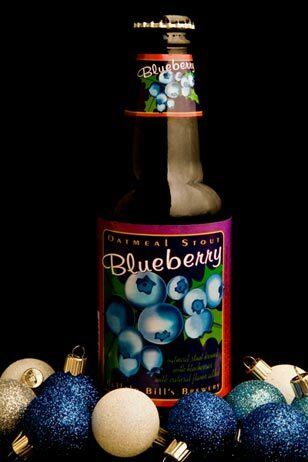 A fruit-based microbrew, like Buffalo Bill’s Oatmeal Stout Blueberry, is an intriguing addition your guests will appreciate. In 1986, Buffalo Bill’s Brewery was the first brewery in America in over 200 years to produce bottled pumpkin ale commercially. Since then, hundreds in the beer industry have followed in their footsteps, creating a whole market of pumpkin seasonals to choose from. (The Beeryard sold over 400 cases of pumpkin ales this past fall). A commercially contracted brewery (meaning they develop their own recipes and have another brewery manufacturer their brand at a different facility) out of California, Buffalo Bill’s has also successfully produced an Orange Cream Blossom Ale and experimented with other unique fruit combinations. Guyer suggests their Blueberry Oatmeal Stout – a strong seller this season – for your discerning holiday crowd. “This beer will attract a lot of interest simply because you normally associate fruit beers with the warmer months, but it is a California company so they tend to think more out of the box with their combinations. But, do not be fooled! This stout gives off a strong blueberry scent but is definitely deceiving because it has a very subtle berry taste. It is not too sweet at all, the aroma is there but the taste is not too overwhelming,” he explained. Matt recommends pairing the stout with a blueberry pie, chocolates or serving it on its own as a dessert beer. Let’s get this party hopping! Victory Brewery’s 2008 holiday beer is Hop Wallop, a winter brew that promises, well, a big ‘ole wallop - with 8.5% ABV. 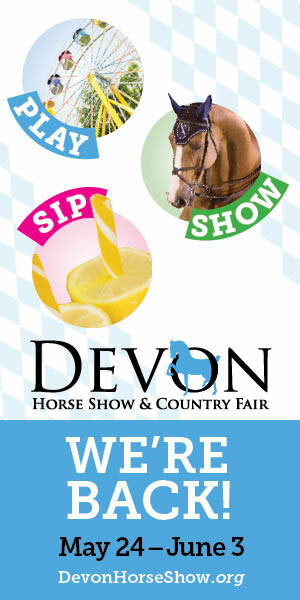 Hold on to your horses (and your hops!) 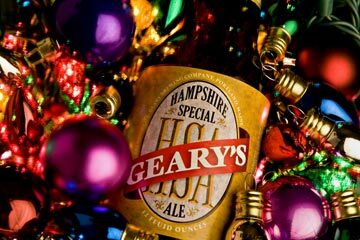 for one of the Main Line’s most popular holiday beers of the season, as well as one of Guyer’s personal picks. 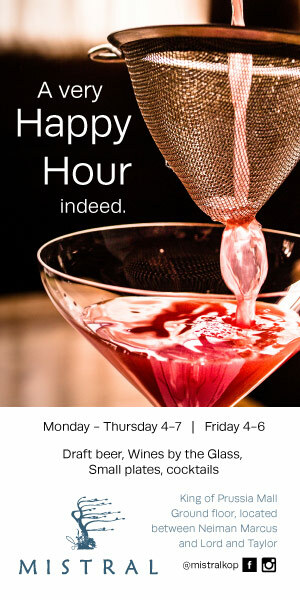 AroundMainLine.com has done our due drinking (uh, I mean diligence!) 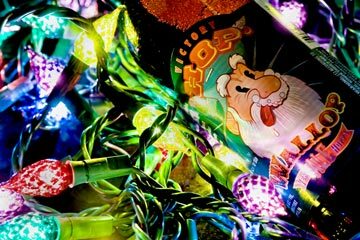 and we’re eager to report Victory’s Hop Wallop has been spotted at all of our 7, yep count ’em 7, holiday parties – flowing steadily. “I can’t say enough about this beer; it just has the perfect amount of hops, bitterness and robustness with an 8.5% ABV. I love it! And so do our customers this season. And it’s from Victory–which is a brewery that seems to appeal to a large range of our customer base. We will sell a hundred cases of Hop Wallop this season easily,” enthused Guyer. Hop Wallop is one of ten Victory beers currently in stock at The Beeryard. The Beeryard has not carried the Geary’s line in four years simply because Guyer could not get it in stock, but he is glad to have it back for his customers. “It is mild, very easy drinking beer with this special ale and this is a great Northeast brewery I have always respected. They use different yeast in their process-Ringwood yeast-and it gives it a butterscotch, almost a diacetyl flavor that you notice will come through. And, that is on purpose and is the nature of the yeast.” Guyer suggests pulling your winter beers out of the fridge at least ten minutes before serving to ensure your guests get the most flavors out of their selection. He explained the warmer the beer, the more the right notes will come through—the colder the beer, the greater chances of masking the true profile and taste. 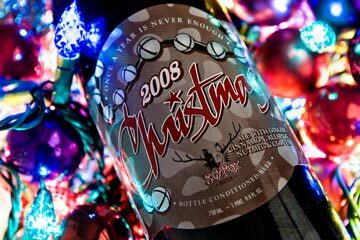 SlyFox’s Christmas Ale is the perfect alternative to bringing the staid bottle of wine to your holiday party. Beautifully corked and elegantly wired, you can be proud to walk into the festivities and place it on the bar as the hippest Main Line hostess gift of the night. “Bringing a bottle of wine just gets old. I’ve been giving a corked bottle of beer for years to parties and it creates a great buzz and conversation point,” suggested Guyer.The Christmas Ale has a subtle, delicious taste of nutmeg and Guyer says don’t be afraid to warm a seasonal ale like this up as a hot totty. “It’s a beautiful color and a nice deep amber and it definitely delivers with the array of spice flavors.” Matt suggests putting it to next to a plate of gingerbread cookies for a grown-up snack or leaving the bottle for a weary Santa to unwind after a long night of delivering toys. Guyer refers to this stout as a ‘super’ Guinness explaining that, contrary to common belief, Guinness has a comparable amount of alcohol and calories as Coors Light. But, with Riverhorse’s Stout that is not the case—with a 6.70 % ABV it’s a limited release drinkable milk stout that pours very dark. “It’s an oatmeal, milk stout which is unique. I do not see a lot of these around–but as you can tell this is very nice and rich and you get a very roasty flavor from this. It’s perfect with a bowl of vanilla ice cream or vanilla pound cake. There is something very chocolaty with what they are doing here. I normally suggest matching beers with a similar food and palette but in this case, with this particular micro-brew, I would go in the opposite direction,” suggested Guyer. 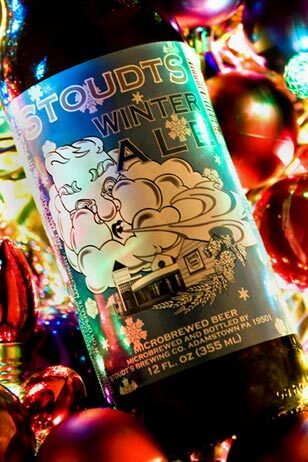 Ole Man Winter never seemed so warm and cozy until Stoudt’s cleverly labeled this seasonal full-bodied ale. Guyer explains this micro-brew has delicious notes of coffee and cocoa and for a party suggests serving Stoudt’s Winter Ale with a plate of nice brie or a selection of chocolates. Stoudt’s is a company started by the first female brewmaster since prohibition, Carol Stoudt. For over 20 years, this company has grown steadily–evolving from a small brewery with limited draught distribution, to a packaging regional microbrewery with distribution in over 10 different states, producing over 10,000 barrels a year. The clever moniker behind this brew came from the original name of the beer (Red Ryder Big Beer) which caused some legal issues when the Erie owners were dubiously awarded two cease and desist letters for its name. The company changed the label with a gavel prominently in full view to acknowledge their legal woes–but kept the recipe. 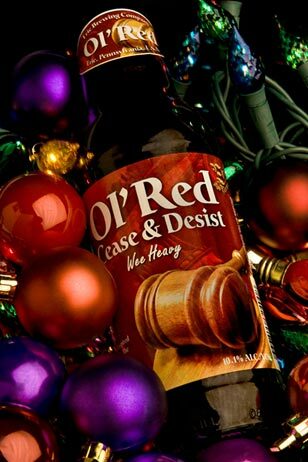 Guyer says Cease and Desist has become a Main Line holiday favorite in the past few years. The Erie Brewing Company began producing traditional style ales and lagers in 1993 and made a splash this summer at The Great American Beer Festival in Denver where their flagship brand, Railbender Scottish Ale, was a bronze award winner. “Erie and Riverhorse breweries get my vote for most improved production breweries in Pennsylvania this year. Erie has really come around, their products have greatly improved. I don’t really know why but Erie’s beers have been fantastic this year and I’ve been very impressed,” said Guyer. The Beeryard is located at 218 East Lancaster Avenue Wayne, PA behind the Wayne Starbucks. Call 610-688-3431 for or you can email Matt Guyer directly at info@beeryard.com. This is great for my New Year’s party I did not know what i was going to do exactly beerwise-Matt is the man. Matt and his staff are the best! Always a huge selection and in the rare moment they do not have something they will get whatever you want whenever you want it. Awesome!